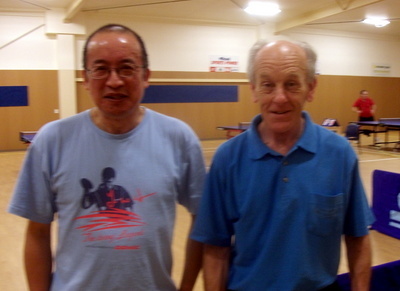 Malcolm Wong and Steve Craw won the Over 50 Doubles, which was their 6th title together. This was Malcolm’s 10th Marlborough title and 72 overall. Malcolm was the sole Wellington player at this tournament held at the Simcox Stadium (Blenheim). There were 57 players at the tournament. Thanks to the Marlborough Association Committee for all their hard work. As usual, Chris Hood and Debbie Stratford ran the tournament. Daryl Jones wrote out the certificates and was in charge of the prize money. Full results with a report on the tournament is here. Thanks to Malcolm for submitting this info. Anyone traveling to a tournament is welcome to submit a report and photos for the TTW blog, or for most any table tennis news topic for that matter! Email me or email secretary [at] ttwellington.org.nz for forwarding on. Or, to be able to post directly, see here.